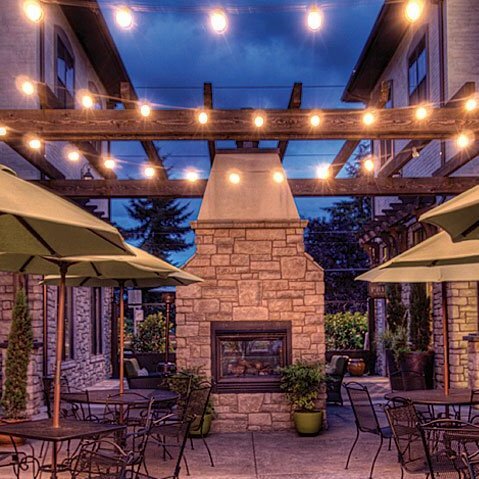 Located in the heart of Willamette Valley wine country, right on the main thoroughfare that goes from one end of thriving downtown Dundee to the other, is an Inn that is the ultimate lodging experience for wine enthusiasts: the Inn at Red Hills. Not only is it a short drive to a plethora of Oregon’s world-renowned vineyards and wineries like Sokol Blosser Winery, Archery Summit and Domaine Drouhin (to name just a few), but it’s within walking distance to more than a dozen tasting rooms boasting famous names such as Argyle, Panther Creek, Ponzi, Dobbes, Four Graces, Owen Roe…and the list goes on. I stayed at the Inn at Red Hills for a couple of nights in September (during the height of harvest season), while attending the 2014 Bounty of Yamhill County – a benefit for the Yamhill Enrichment Society founded by highly respected Oregon wine pioneer Susan Sokol Blosser. Taking place annually over the course of two days, lodging at the Inn at Red Hills could not have been more perfect due to its close proximity to the events and more. After seeing the rogue chickens in the parking lot, the name and logo of the restaurant all made sense. 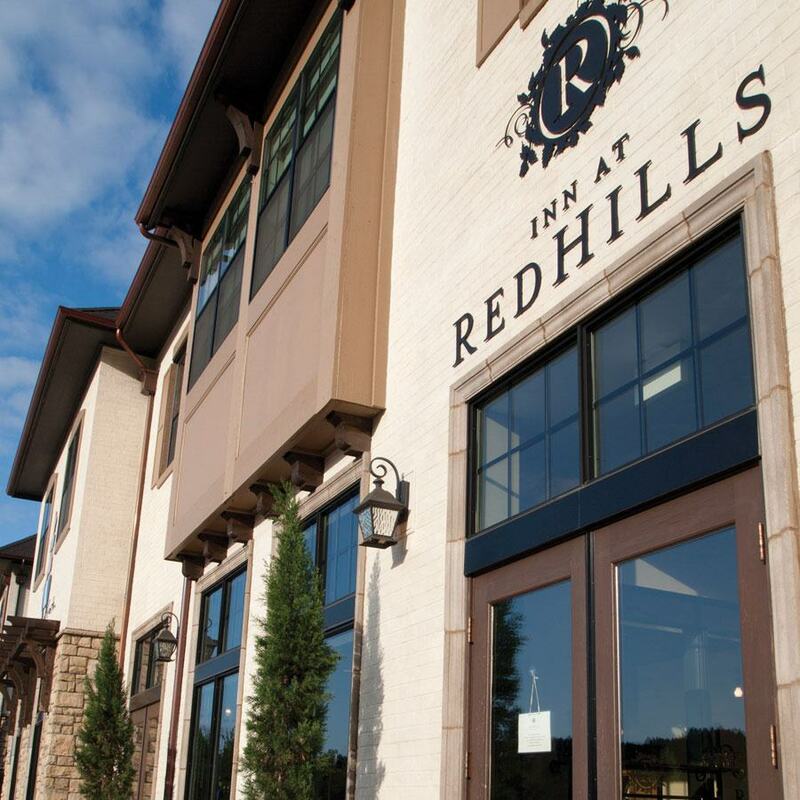 Casual elegance at its finest, The Inn at Red Hills has just 20 guest rooms. The room I stayed in was very pleasant and welcoming with high ceilings, tasteful decor in neutral colors, and eye-catching framed vineyard photography by locally known and highly acclaimed wine industry photographer, Andrea Johnson. A cozy sitting area with high back chair and ottoman, a spacious bathroom with an oversized shower, a flat screen TV, and a super comfortable Hospitality Gold Sleep Number King bed (adorned with familiar Pottery Barn throw pillows), I felt amazingly at-home. On top of the desk was a bottle of local Pinot Noir, along with a wine key and two Schott Zwiesel wine glasses – stemware that instantly put a smile on my face. Within seconds of setting my bags down and glancing around the room, I had a feeling I’d be adding my stay at the Inn at Red Hills onto my Best of Oregon list. In between events, I had some spare time to explore a couple of the on-site tasting rooms; as well as, enjoy an absolutely fabulous breakfast and dinner at the Inn’s restaurant, The Babica Hen Cafe. 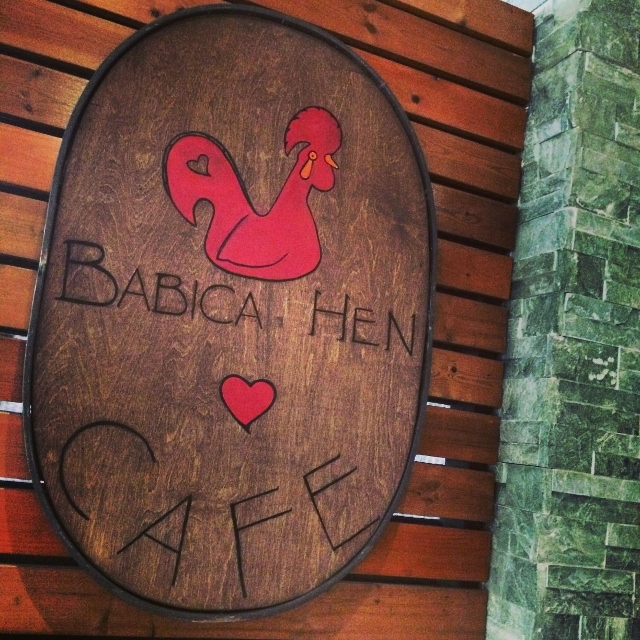 The Babica Hen Cafe offers spacious, modern, welcoming indoor dining; as well as, outdoor seating that mimicks the patio of my dreams. 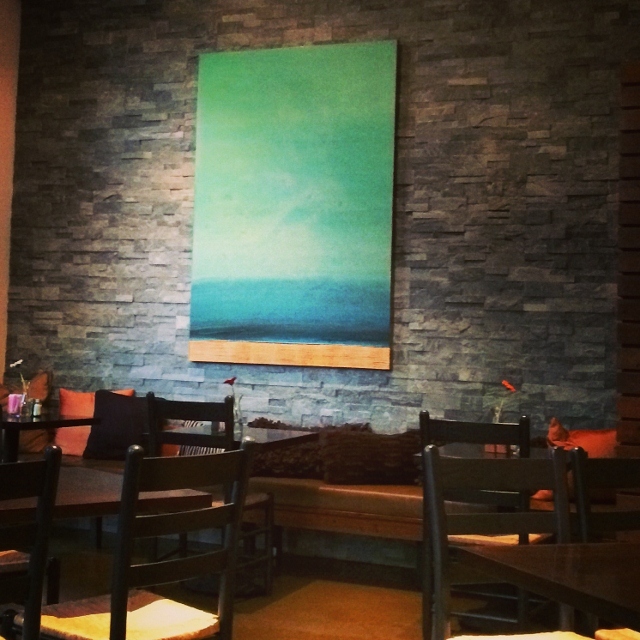 Inside, gray stone and natural wood walls create a rustic yet refined ambiance that boasts gorgeous multi-hued paintings. In keeping with the natural textures and colors, cushioned benches along the walls were embellished with green, brown and rust colored pillows of varying shapes and sizes, creating a super comfortable environment. A large walk-in wine cellar in the center of the restaurant is made completely of glass, so diners can ooh and ahh over the local wine selection that lined the glass from floor to ceiling. Outside, the focal point is a large stone fireplace set in the middle of the courtyard. Surrounded by multiple wrought iron umbrella tables on one side and an outdoor living area on the other (complete with cushioned chairs and a couch), I can imagine it would be easy to lose track of time while imbibing in this spectacular space. Although the outdoor living area was free for the taking when I arrived for a late afternoon light-ish dinner, I decided to eat inside and chose to sit at one of the tables with the pillow-laden benches that had a full-on view of a truly beautiful painting. One glance at the menu, and I knew it was going to be a difficult choice; absolutely everything seemed to tempt me one way or another. Starting with a cocktail that caught my eye, the Urb N’ Root, which was as refreshing as it sounded with Stoli Vodka, basil, ginger and lime, I decided on the Turkey Avocado Sandwich piled high with house smoked turkey breast, jalapeno aioli, white cheddar, avocado, spinach, bacon , tomato; served cold on ciabatta. Talk about a refreshing meal on a hot later summer day – it was perfect. I was easily convinced to return first thing in the morning, at the suggestion of the server, who informed me that their waffles were unbeatable. She wasn’t kidding. 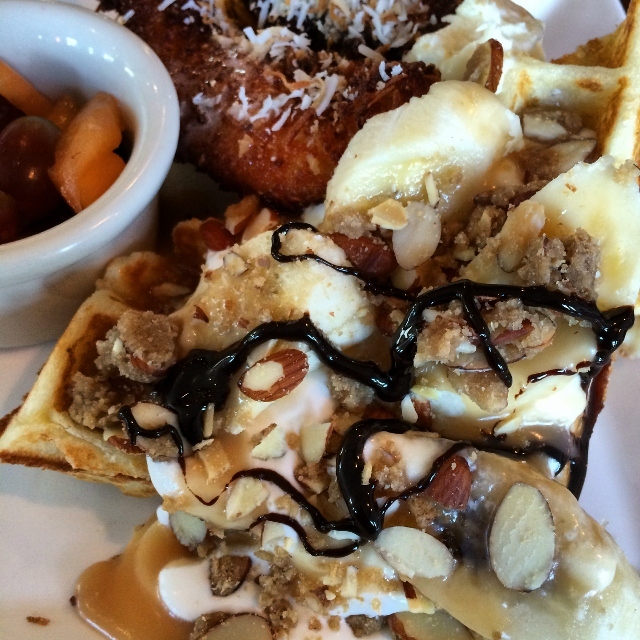 I have never had a waffle so tasty; actually two waffles, as the same server from the night before insisted that I do halves of the Fried Chicken Waffle and the Banana Chocolate Crunch Waffle – there were no regrets. The windows to my room were directly above Evening Land Vineyards tasting room. 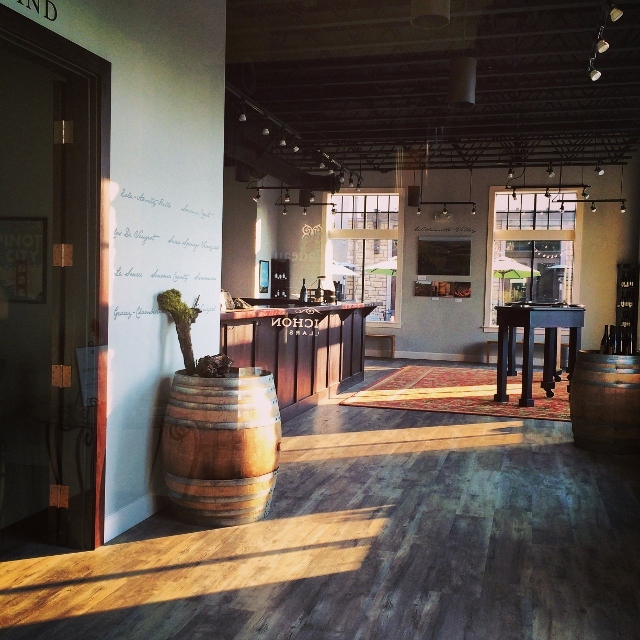 The ultimate lodging for a wine writer? Indeed. 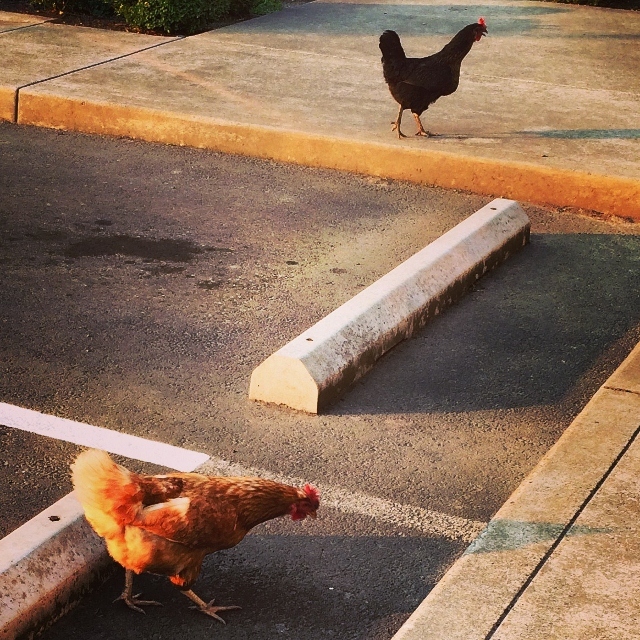 Upon check-in, I couldn’t help but take note of a couple chickens roaming around comfortably in the parking lot. A gal came through the bushes that separated the hotel from the lot next door, and scolded the “naughty girls,” demanding they return to their coop. The chickens followed their orders, and their fearless leader, back through the bushes to whatever was on the other side. I couldn’t help but wonder if the restaurant got its name and hen logo from what I had witnessed. With a few questions to the staff of the hotel, I found out that the chickens did, indeed, belong to the Babica Hen Cafe; as well as, the lot next door, where they farm a 1.5 acre garden plot, called The Garden @ The Hen. They use fresh herbs and vegetables from their next-door garden in the Babica Hen kitchen; in addition to, using the farm-fresh eggs from those naughty girls roaming the parking lot. A few doors down from Babica Hen, and just one floor below my King Guest Room, tasting rooms for three world-renowned Oregon wineries; as well as, one winery out of Washington, are chock full of award winning wines and stunningly beautiful – and functional – decor: Evening Land Vineyards, Angela Estate, Le Cadeau and Tertulia Cellars. 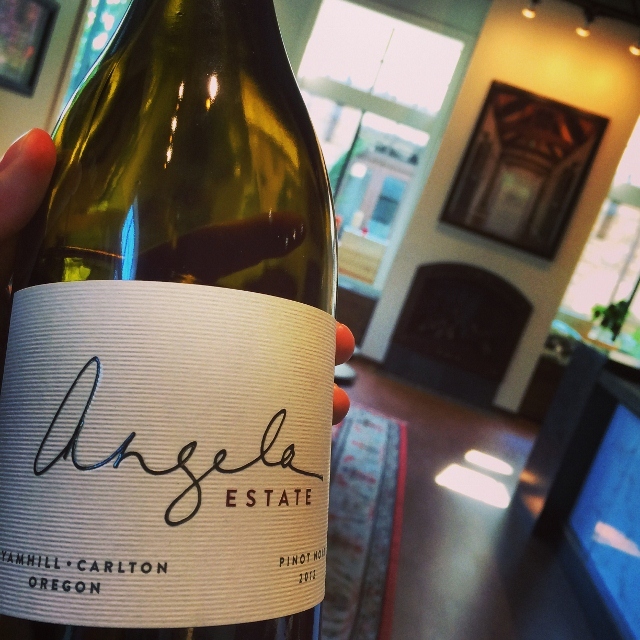 Stopping first at Angela Estate, with memories of a stellar Pinot Noir I had tasted a couple years ago, I was excited to discover more about this amazing winery. 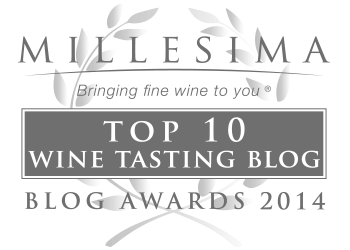 I sampled the entire line-up and was blown away by each and every wine, rendering a stand-alone article that is currently in the works. 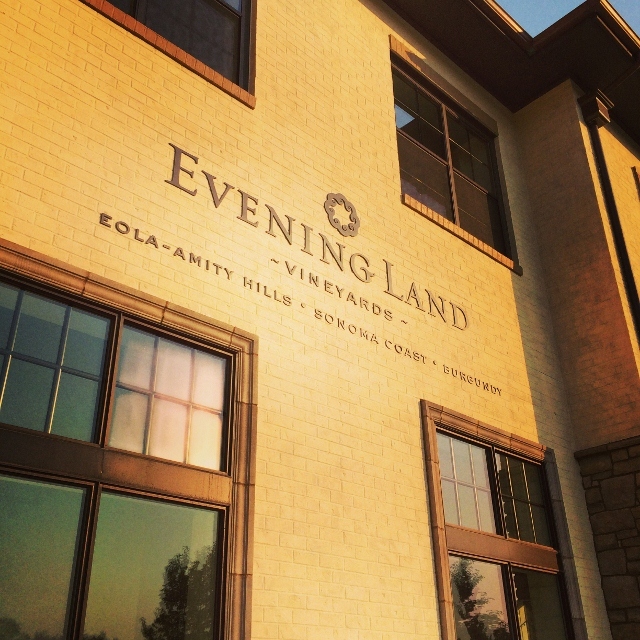 Same with Evening Land Vineyards – my experience was so incredible that an entire article will be dedicated to my time there. I didn’t have time to stop into Le Cadeau or Tertulia, so that means I’ll be heading back to Dundee and the Inn at Red Hills soon. From farm-fresh eggs at the Babica Hen to freshly pulled corks at the Inn’s conveniently located tasting rooms, that return visit of mine will undoubtedly happen sooner than later. The Inn at Red Hills is truly a unique and special destination, contributing to the many extraordinary attributes of my great home-state of Oregon. Without a doubt, the Best of Oregon can be found at the Inn at Red Hills.